Headteachers believe writing off student loans and reducing working hours outside the classroom are the best options to tackle the teacher recruitment and retention crisis. 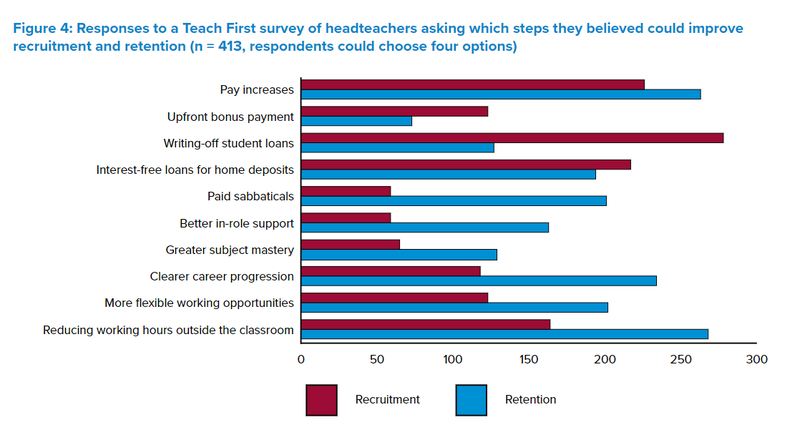 A new survey by Teach First shows getting rid of student debt for new teachers is heads’ preferred method for boosting recruitment numbers, while cutting work completed out of class is their top tip for improving retention. The two options came out ahead of pay increases, but boosting pay is still the second most popular solution to both recruitment and retention, the poll of 413 heads found. It comes after official government statistics revealed that teachers are now entering and leaving the profession at the same rate, prompting calls for a shake-up of the government’s approach to the issue. 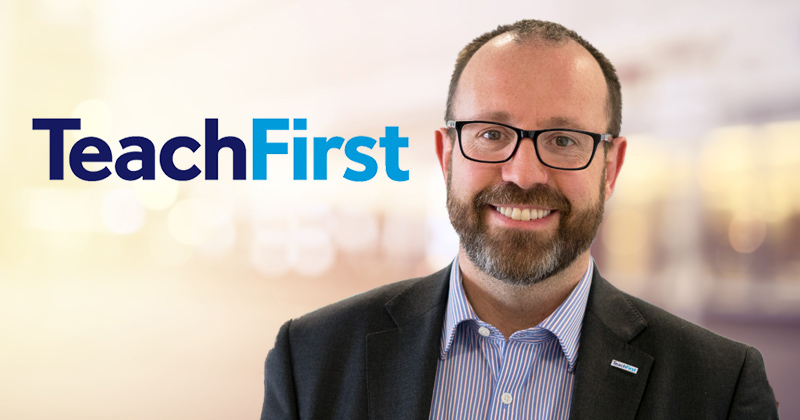 It also follows an announcement from Teach First of a series of new initiatives which see the training company shift away from its core focus of attracting elite graduates into the profession. This was signalled by the launch of a controversial new advertising campaign earlier in the year. The first project, Time to Teach, aims to bring more career changers into the profession “through tailored support, phased responsibility and a salary from day one”, prompted by YouGov research which shows that more than a million over-25s would consider teaching. The project will begin in April. The second, Reconnect to Teaching, will support former teachers to return to the classroom, offering them “support to find flexible roles in schools, refresh their skills, build on experiences gained elsewhere and progress to leadership positions”. There are around 300,000 qualified teachers of working age not currently in teaching, Teach First said, and research shows that “around 20 per cent would return if some of the barriers are removed”. The third initiative is a teaching assistant fast-track programme, a new opportunity for schools to “develop and retain high-potential support staff” through an accelerated route onto Teach First’s Leadership Development Programme. They will train whilst working in their current schools, continuing to support the most disadvantaged communities, the charity said. “Right now, despite the hard work of schools, too many disadvantaged young people are missing out on the education needed to fulfil their potential,” said Russell Hobby, chief executive of Teach First. In an additional survey of Teach First alumni, 31 per cent said attraction and retention of high-quality teachers was the “biggest issue” to be addressed in education, while workload and burnout came in second at 25 per cent, closely followed by funding cuts and poor salaries (23 per cent). Er, does Teach First only attract ‘elite’ graduates? No. You’ve been able to get on their programme with a 2:2 for years. Does it even attract enough graduates? Well, the number of TF recruits continues to fall and teacher recruitment in general hasn’t improved since TF came on the scene (it’s got much worse). In short: This scheme isn’t having the type of impact its funding or executive salaries warrant. Time to bring this failed experiment to an end.